For some of you who joined us yesterday for Lost Labyrinth’s formal reveal, this won’t be new. 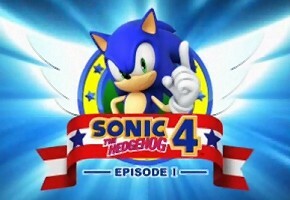 For those who have a taste for quality, however, you’ll appreciate the screenshots Sega of America released today from Sonic 4, as they are in 720p resolution. The five shots below were meant to demonstrate a commitment to the new “torch mechanic” steering farther away from the much criticized mine cart gimmick that existed in early builds of the game. As was stated, though the mine cart technically still exists in act 2 of Lost Labyrinth, it will be in a far limited role than before, at the end of the level, without tilt controls. With that in mind, the five shots are available in our gallery below.